K2 SK8 Hero X Pro Orange - The new inline skates for boys are orange. 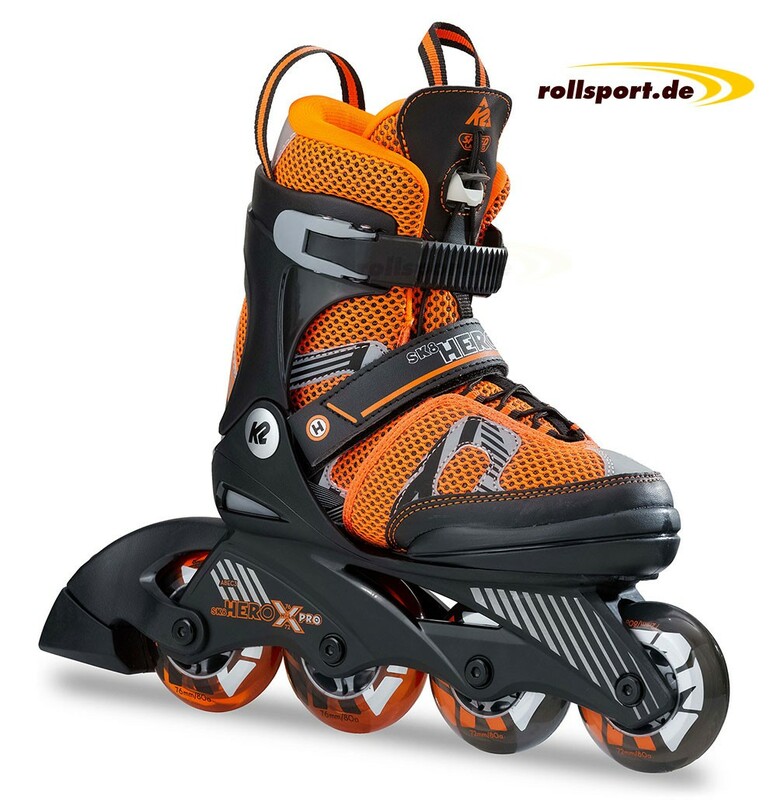 These boys inline skates are five times size adjustable, the skates also have an Hi-Lo frame with 76 mm / 72 mm (4x 70mm size "S" 29-34), a quick lacing system and a comfortable K2 softboot upper. 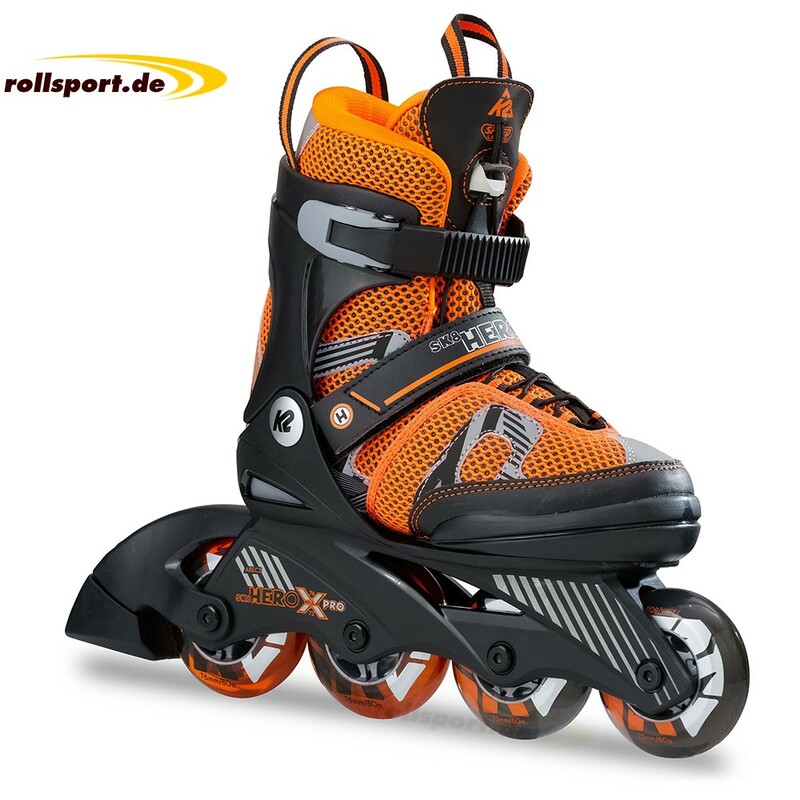 The new K2 Sk8 Hero X Pro inline skate for boys, is color-coded on the K2 Vo2 90 boa men. Now father and son can go on tour in the partner look. 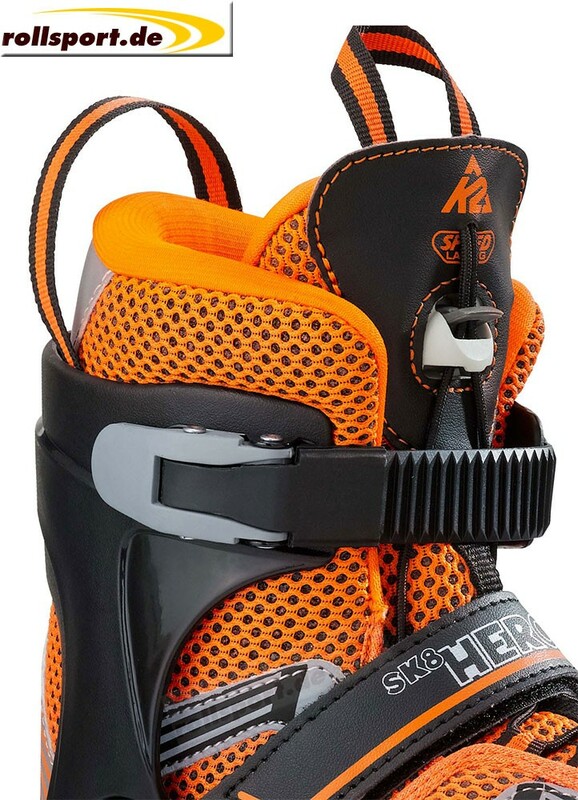 The orange Sk8 Hero skates have Hi-Lo technology, with the two rear wheels larger than the front wheels. This concept allows a low center of gravity and thus improves balance. The size of the skates can be adjusted by up to five shoe sizes with a simple button press. The Speed Lacing system saves a lot of time and makes it easier for the children to wear the skates.